Manitou MLT 635-130 PS+: Evolutionary step in the right direction? As a long-time operator of Manitou telehandlers, dairy farmer Paul Rowland tells James Rickard how he is getting on with the French manufacturer’s latest model. 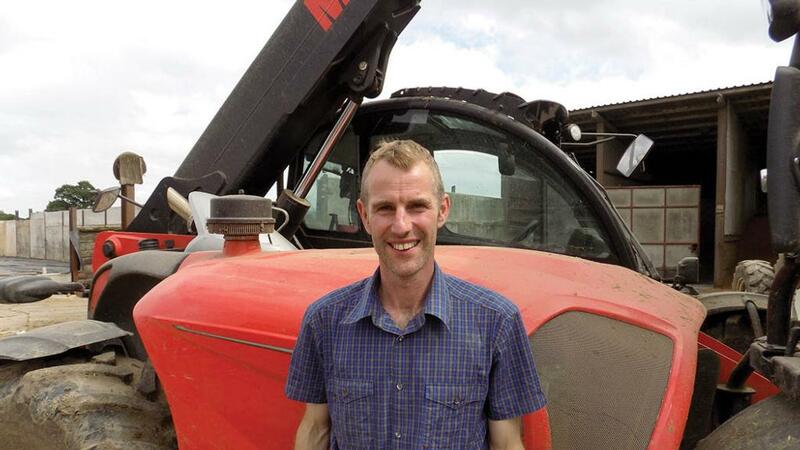 Well-placed to comment on how the latest generation of Manitou telehandler performs, Lancashire dairy farmer Paul Rowland is no stranger to the French-made machines, having run them since 2004. Now on his fifth machine in 14 years, Mr Rowland was one of the first in the country to take delivery of one of Manitou’s latest ‘New Ag’ machines, an MLT 635-130 PS+. Working on a 600-head dairy farm, the new model is kept busy all year carrying out an expanding variety of jobs, including loading a diet feeder four times a day, cleaning out buildings, bedding, handling fertiliser and seed, loading muck spreaders, and a small amount of buckraking – any job which needs lifting, says Mr Rowland. “Pre-2004, we used to operate a tractor and loader – a two-wheel drive Ford 7610 with Grays loader. It was not until we were having some building work done on-farm we tried out a telehandler for the first time. Instantly we were sold on the idea,” says Mr Rowland. To get on the telehandler ladder, the first machine was bought second-hand. All telehandlers since have been new. Bought in April last year, the latest handler replaced a 634-120 which had 120hp, six-metre reach and a 3.4-tonne lift capacity. On average, the Rowlands keep each machine for about three and a half years and clock up about 1,100 hours per year, although the workload has increased significantly over the years, says Mr Rowland. This has already seen the latest handler amass 1,200 hours in less than 12 months. This extra workload sees a second loader hired in for silaging duties, often a large pivot steer machine to work on the clamp. Featuring a new control layout and a panoramic windscreen, Mr Rowland is pleased overall with the improvements to the cab. “It does seem roomier, and the seat-integrated joystick is a lot more user-friendly. But while he enjoys greater visibility to the boom thanks to a new curved windscreen, he cannot say the same for its wiper. Beware the airtight cab too, he says. Thankfully, the electric window is a plus. “It is a lot better than a split door system and so much easier to use. “More in-cab storage space is good too. The new cutout in the steps means the door pocket is larger and there is plenty of space behind the seat. However, the seat does not seem to go far enough back for some of our taller operators. While Mr Rowland says hydraulics are a lot swifter than before, the handling capabilities of Manitou’s latest telehandlers are increasingly being hampered by over-sensitive safety devices. “Granted, they are there for a reason, and it is a similar story for all makes, but it means we have to regularly recalibrate the machine if we want to get the most out of it, effectively reteaching it what it is capable of. Boom suspension activation has also been simplified. The on-demand engine revs is a useful new feature overall, says Mr Rowland, which increases revs to 1,000rpm whenever the machine is put into gear or the joystick is used. However, it can also be a hindrance, he says. Other features include an automatic transmission mode. In addition to this is an automatic declutch feature which puts the machine into neutral when a certain amount of braking force is applied. Power for the MLT 635-130 comes from a Deutz engine, now with AdBlue to tackle emissions. “Our last model was Mercedes Benz power and the one before was a Perkins. “Between the three engines there has been no real noticeable difference in engine performance. If anything, we would say the latest is a little bit better on fuel use. AdBlue use is not too bad either, with the AdBlue tank only filled once every three fills of the diesel tank. As yet, Mr Rowland sees no reason to move away from Manitou. “The machines have proven good value for money and the dealership support has been good, although with the news our local John Deere dealer now has to carry the Kramer franchise, this may alter in the future. “We have made the transition to a new dealer for product back-up, but they are new to the Manitou product and still have some learning to do. “Manitou telehandlers also seem to hold their value well, maybe not quite as well as a JCB, but those are more expensive in the first place. “Although we have hired in JCB telehandlers in the past, we never just seem to get on with them as well as we do with the Manitous. "It is small gripes such as the door handle placement, access and joystick design. They also seem to be hard revving machines. A lot of it comes down to personal preference. Did you know we now have jobs related to the machinery sector?